Brewster's Millions is about a man returning from the army about to be married. He soon finds out that he inherited 8 million dollars! There is a catch, he has to spend a million dollars of it by his birthday in 2 months. Oh, and one more thing, he can have NO assets. No marriage for you Brewster! Can he spend the money in 2 months? It's harder than you would think. What I thought about the movie. I thought that the movie was fairly good. There were a few misunderstandings in the movie, so if you don't like someone's future wife thinking that her (future) husband is with another woman, then don't watch the movie. Things like that bother me personally, but I must say that other than that, the movie was great. For last year's Apple Camp video click here. The NED Show came to my school for an assembly talking about Never Giving Up, Encouraging Others, and Doing Your Best. They had a video contest (click here to see the winners) and I ended up winning First Runner Up. But that's not all that happened. I donated my winnings to my school in the spirit of our motto "Fair Play" because I could not have done the video without having so many people willing to participate on camera. But, then, even more happened. The people at The NED Show decided to do a fundraiser to buy me a new camera. It was amazing! They even gave me an Amazon gift card and they all signed a card encouraging me to follow my dreams. The day my parents presented me with your gifts, I took the camera into my room, closed the door, and made this short thank you to all of you who donated. Thanks so much for believing in me! So sorry this post is late. 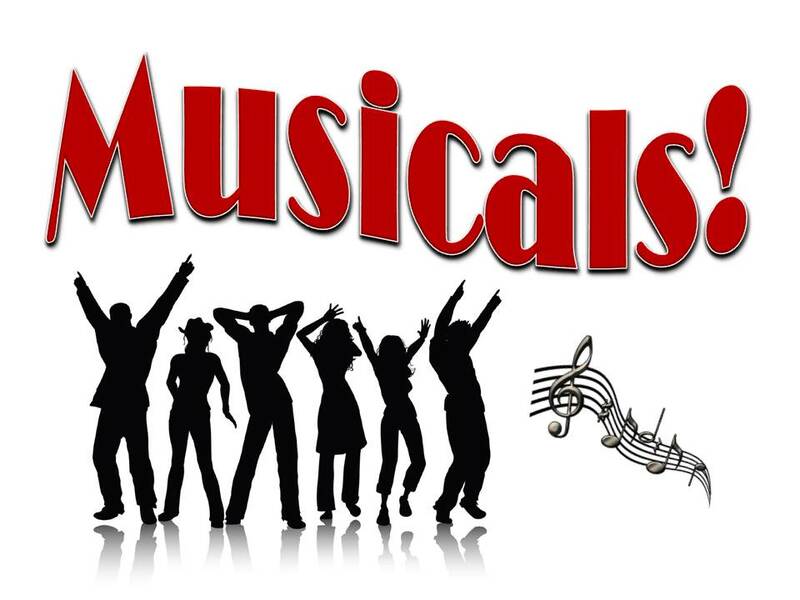 I was enjoying Spring Break for most of March and didn't get a chance to share more Musicals reviews with you. Let's pretend it's still March. Here's another one of my favorites. The movie was about a poor Jewish peasant, Tevye, and his family. In their Russian village, Tevye has to deal with the situation of his daughters getting married. The first marries a poor Jewish tailor (not what they hoped for). The second marries a learned man that breaks their traditions (not exactly ideal). And, the third marries a Russian soldier (much to the disappointment of the family). Tevye also has to deal with the hardships of having to move because the Russians are kicking him and his family out of his home because they are Jewish. There is also the strange appearance of a fiddler on a roof. I thought the movie was great with amazing music. If you want an epic musical, this is the one to see. The movie may be long but it is very intriguing. What I learned about making films. I learned that great songs as well as a good storyline make for a good movie. This will not be the case in my next review so stay tuned! Why I think other kids should see this film. I think other kids should see this movie because it is very informative. Also, it can test kids' attention span because it's a very long movie, but with great music. It's the kind of songs that stick in your head when you're in math class. I'm not sure if this is good or bad? 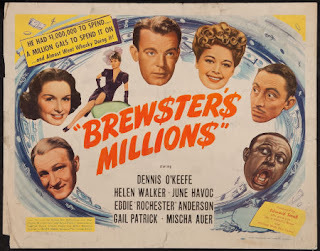 This movie is about Tony Hunter, a washed-up singing and dancing star. He meets up with his friends Lily and Lester and they have a great idea for a comedy show. They ask the amazing director/actor/screenwriter/etc. Jeff Cordova to help them with the show and he gets the famous ballet actor Gabrielle Gerard to be an actor in the show. Tony Hunter doesn't like her and the feeling is mutual. Jeff turns the show into a modern "Faust". The show is a disaster and Tony and Gabrielle now love each other. The actors from the show, Tony, Gaby, Lily, and Lestor decide to actually do the comedy show. Jeff decides that he will also do it and the show is a success. I thought the movie was good and really musical, for sure. It's also hilarious; very, very funny. It's like watching 2 shows in 1 movie. The movie has good dancing, a good story, and I liked that it has good actors, too. I learned what the word "Faust" means: where an ambitious person throws moral integrity to the wind and makes a pact with the devil to achieve power and success. I can't wait to use the term "Faustian" in Literature class one day. I think other kids should see this movie because it is really a great musical. It's funny and fast-moving so you won't get bored. The quick-moving storyline really keeps a kid's attention. Get ready! Here we go! For the whole month of March I'll be reviewing some of my favorite classic musicals. 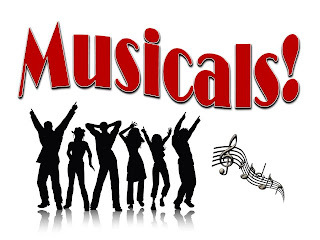 I've reviewed musicals in the past including Sound of Music, and West Side Story, my FAVORITE! Stay tuned for even more, all March-long! The movie is about Jason, a man of Greece, who wants to claim the throne from the man who killed his parents, the old King and Queen. Coaxed by the new King, Jason goes after the Golden Fleece. On the way he and his crew face many challenges. They pass the clashing rocks, fight harpies, skeletons, and a hydra, on the quest for the Golden Fleece. I thought the movie was amazing! I was very intrigued every second of the movie. It had monsters; many, many monsters and it was very interesting to see how they did them. The special effects are by a man named Ray Harryhausen. His work was cutting-edge on this movie back then. Also, the movie had a golden ram skin - totally awesome!! I learned that you can make huge monsters out of small clay models, which can be very useful. I think other kids should see this movie because it is a very interesting movie. It also has amazing mythical creatures. It teaches you about a very beloved Greek myth, as well.